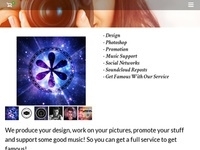 Famous Design is an agency for musicians and companies who want to bring their music or products rolling. Mitlerweile our fan base consists of over 1.3 million fans. Join us for a successful business!